Paul’s class is labeled as advanced: “We connect and move from our center in all directions and arrive in Shapes. We reference their success by how they feel rather than how they look”, says Paul. It’s funny but true that you have to know a position before you can leave it behind or get the chance of not taking it all so seriously. Paul is a perfect teacher for this: He is kind of serious but more because he is so honest. And that sometimes becomes funny. And that gives you the chance of NOT taking it all so serious. His style he teaches is vinyasa and from the first sun salutations Paul told us to keep it simple and easy: „no fancy stuff“. More he wanted us to feel the positions, how we could change them to even feel more our center. „You don’t have to do the positions always correctly! Maybe I shouldn’t say that, but: just do it incorrectly and feel“, said Paul. His way of teaching is super honest, really no fancy stuff, but only sharing what he thinks what yoga is (as far as I can tell from one class joining): Using the positions to open more up. Paul told us in the beginning, his first yoga teacher said to him his reason for doing the poses is to become more vulnerable. And that is why he, Paul himself, started to do yoga. After a couple of simple (and also because of Paul’s humour funny) balancing standing positions we went into a twist sequence and after that some longer held forward bends, closing with easy backbends and inversions. What made this class great for me was the honesty (I know, I already wrote it, but it is soooo important ;)) with which Paul taught his class. He didn’t make a show or tried to do some fancy stuff but kept it and his teaching super authentic, which means in his teaching: simple – which was a great experience. Classes like this make feel conferences like a jungle trip on which you can find hidden unknown spots. And they are always a reminder for me to try something new – it will pay off. Quick interview! 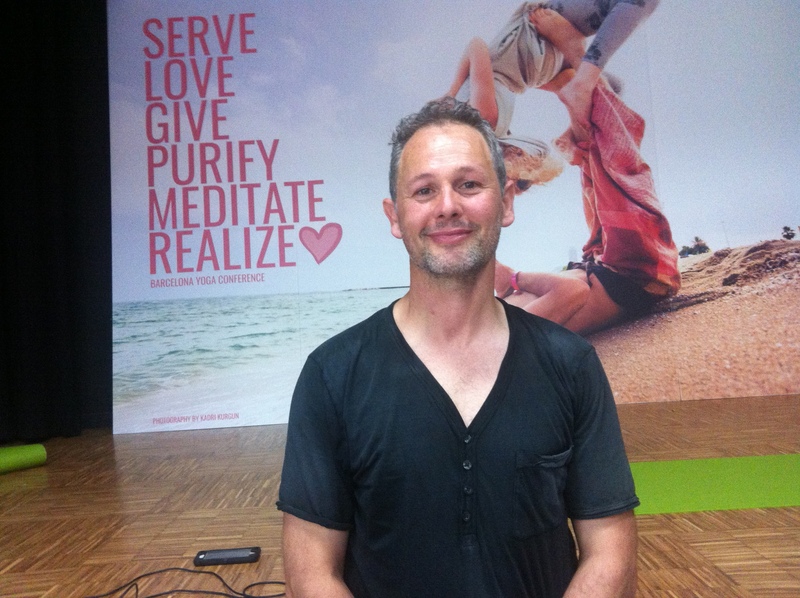 Let’s meet… Yogi Varuna!! !